USS Maryland (SSBN-738) transits the Saint Marys River. This post has been corrected to reflect that the upcoming Ohio Replacement Program request for proposals will cover only detail design, not detail design and construction of the first two ships as PEO Subs executive director George Drakeley originally said. The Navy will set the technical baseline for the Ohio Replacement Program ballistic missile submarine next week and lay out a process to keep design changes and cost increases in the Navy’s next nuclear ballistic missile submarine to a minimum. George Drakeley, the executive director of the Program Executive Office for Submarines, said Thursday at the 2015 Naval Submarine League annual symposium that the program is moving forward in preparation for a design contract to be awarded about a year from now. Next week the program office will meet with Navy leadership to set the technical baseline for the ship, in an an acquisition approval step called Gate 4. “We kind of thought that we were past the issues of needing a Gate 4, but [Navy acquisition chief Sean] Stackley wants to have one because he wants to set the tech baseline,” Drakeley said. Once the baseline is set, the program will meet with the Defense Acquisition Board to get approval to release a request for proposals (RFP) soon, with a contract expected to be awarded next fall. During the symposium, Director of Undersea Warfare (OPNAV N97) Rear Adm. Charles Richard told reporters that he didn’t believe the continuing resolution the Navy is currently operating under would hurt the ability to get the RFP out and a contract awarded on time. Drakeley said the design contract that is eventually awarded would cover detail design. 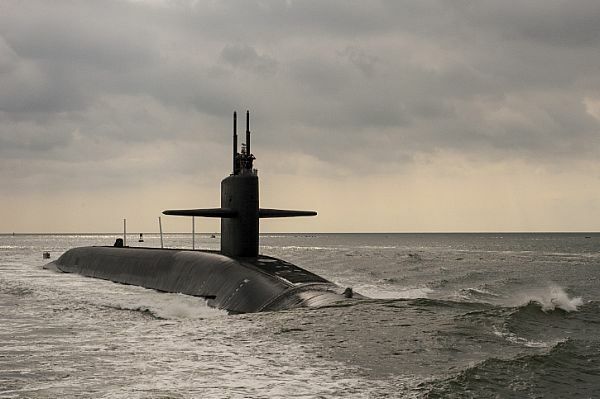 Though the first Ohio Replacement submarine won’t go on its first patrol until 2031, Drakeley said the schedule between now and then is tight. Lead ship construction must begin in 2021, which means long lead materials must be purchased in 2019 – and the ship design must be at least 83-percent complete by the time a long lead materials contract can be signed. ORP program manager Capt. David Goggins said on Thursday at a program managers panel that he was concerned about both the affordability and the executability of his program. The lead ship – including the cost of construction and the up-front design costs – will total $17.2 billion, he said. And he’s aiming for $4.9 billion apiece for boats 2 through 12, which will involve hard work and close coordination with shipbuilders General Dynamics Electric Boat and Newport News Shipbuilding to achieve. “It’s working with our design agent, the shipbuilders, driving down, using that same process from Virginia – DFA, design for affordability, commonality – and driving down to that $4.9 billion,” he said. “Then you look at executability – I mean, lead ship Virginia, contractual requirement was 84 months. Ohio replacement, two-and-a-half times the size, 84 months,” Goggins continued, saying that by the time the sub class reached the 83-percent design completion mark, the shipbuilders should be able to understand what the 84-month construction span looks like, how to build the ship in modules, and how to ensure the ships can all deliver on time. Drakeley said he talks to a lot of leaders in the military, Congress and industry who note the great cost of the submarine program — an estimated $100 billion. “Everybody talks about how expensive it is,” he said.